Lyon have vied for supremacy with German clubs since the UEFA Women's Champions League's first one-off final in 2010: watch the best of all seven deciders. LiveBest Women’s Player in Europe: Hegerberg, Henry or Marozsán? Who will be named UEFA Best Women’s Player in Europe? Watch the shortlisted nominees, Ada Hegerberg, Amandine Henry and Dzsenifer Marozsán, in action. “I had the feeling that I was watching the flight of the ball for five minutes” – former Frankfurt star Célia Šašić looks back on her strike in last season’s final which set the German club on their way to glory against Paris Saint-Germain. Lyon and Wolfsburg look set to replay the 2013 final after big first-leg wins; UEFA.com lists their records and the ones they might break on Sunday and Monday. Wolfsburg 4-0 FFC FrankfurtThe holders suffered a damaging first-leg defeat as the 2013 and 2014 winners struck three times in a stunning first-half display. "I like our chances," Nilla Fischer told UEFA.com as a Wolfsburg side without three key players host an FFC Frankfurt team with fitness concerns of their own for the semi-final first leg. With the semi-final first legs next Sunday, FFC Frankfurt and Wolfsburg gained valuable league wins while Lyon reached the French Cup final but Paris lost. It will be France v Germany in the final in Reggio Emilia on 26 May and we guide you through the semis as Lyon play Paris Saint-Germain and Wolfsburg face FFC Frankfurt. Relive Wolfsburg, FFC Frankfurt, Lyon and Paris Saint-Germain's UEFA Women's Champions League quarter-final successes with the best of the images from the last-eight ties. Holders FFC Frankfurt pipped Rosengård on penalties to set up a semi-final with Wolfsburg while Paris Saint-Germain scored late against Barcelona and now face Lyon. Can Wolfsburg, FFC Frankfurt, Lyon and Paris Saint-Germain set up all-German and French semi-finals? Brescia, Rosengård, Slavia Praha and Barcelona have other ideas. Ten months on from her dramatic final winner for FFC Frankfurt, Mandy Islacker has not looked back, as the Germany forward talks to UEFA.com about their tie with Rosengård. The quarter-finals get under way on Wednesday with FFC Frankfurt in their tenth last-eight tie and Slavia Praha and Brescia making debuts: UEFA.com presents a full guide. The UEFA Woman Champions League final in Reggio Emilia was hailed as a chance to reinvigorate the female game in Italy at an event in the city to mark 100 days to go. UEFA.com looks at how the quarter-finalists ended 2015 with Wolfsburg and Frankfurt trailing Bayern München, Lyon and Paris facing a challenge and Rosengård's coach signing a contract. Colin Bell has stepped down as coach of reigning European champions Frankfurt, saying he was "proud and grateful to have worked with this great team". Watch our interview with Wolfsburg coach Ralf Kellermann following the quarter-final draw as we round up the reaction after the ties for the rest of the competition were set. The quarter-final draw: Wolfsburg v Brescia, FFC Frankfurt v Rosengård, Lyon v Slavia Praha and Barcelona v Paris Saint-Germain, with potentially all-German and all-French semis. The UEFA Women's Champions League quarter-final draw has been made and we introduce you to the eight teams aiming to lift the trophy, with names familiar and new. Holders FFC Frankfurt needed penalties to get past LSK Kvinner on a night when Wolfsburg, Lyon, Paris Saint-Germain, Barcelona and Brescia claimed quarter-final berths. Chelsea's four ex-Arsenal players are looking for a good omen as they go to Wolfsburg, one of five teams defending last-16 second-leg leads at home, including Frankfurt and Lyon. Holders Frankfurt, Wolfsburg, Lyon and Barcelona secured round of 16 first-leg away wins on Wednesday as Anja Mittag scored a record-breaking goal for Paris Saint-Germain. The round of 16 kicks off tonight and players and clubs have been tweeting and sharing videos from training grounds to cockpits as they prepare and travel across Europe. UEFA.com previews the round of 16 ties, which start on Wednesday, as Chelsea face Wolfsburg, Atlético Madrid meet free-scoring Lyon and misfiring Frankfurt play the Norwegian champions. We have the reaction from the last-16 draw including Wolfsburg's Ralf Kellermann on playing Chelsea and Paris Saint-Germain's Farid Benstiti on his FIFA coach award nomination. Debutants Chelsea and Atlético Madrid face two-time winners Wolfsburg and Lyon respectively, while holders FFC Frankfurt take on LSK Kvinner after the round of 16 draw was made. The UEFA Women's Champions League round of 16 draw is made at 13.30CET on Monday and we introduce the teams aiming for the final in Reggio Emilia. Atlético Madrid made it a European debut to remember as they overturned a 2-0 deficit in Russia to win at Zorky and join Frankfurt, Zvezda-2005 and Verona in the last 16. Wolfsburg, Bayern, Liverpool and Chelsea face difficult tests in the second legs of the UEFA Women's Champions League round of 32 on Wednesday and Thursday. Champions Frankfurt began their defence with victory at Standard Liège while there were thrilling wins for Slavia Praha and Verona in Wednesday's round of 32 first legs. The UEFA Women's Champions League last 32 starts on Wednesday with FFC Frankfurt beginning their defence and a strong field attempting to dethrone them. Chelsea warmed up for their European debut with a first English league title while Lyon look in ominous form as we gauge the form of the leading contenders. As the round of 32 nears, we report on signings for Paris Saint-Germain and the German entrants, Chelsea and Rosengård's title pushes and championships already decided. Célia Šašić may have retired but she has not been forgotten after being named UEFA Best Women's Player in Europe Award for 2014/15. Here are a few reasons why. 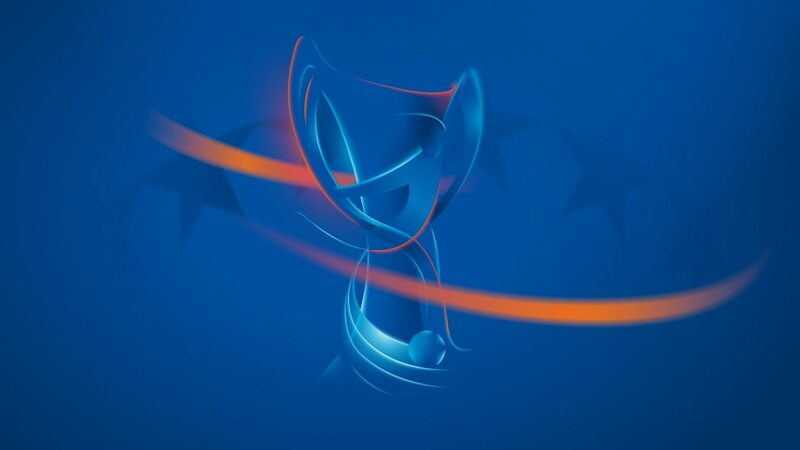 The UEFA Women's Champions League round of 32 ties have been set for October after the draw and UEFA.com talks you through each of the 16 encounters. FFC Frankfurt begin their defence against Standard Liège after the last-32 draw, sending Barcelona to Kazakhstan and setting up a tie between Chelsea and Glasgow City.